Horse comfort and safety are at the heart of our concerns. 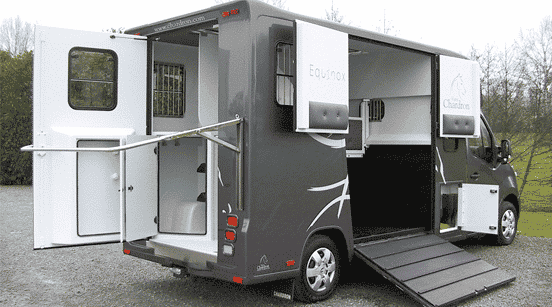 Private or professional, trotter, galloper, or rider, breeder or veterinary… You will find the right horse truck for you and your horses. The 2 horse Chardron trucks are available in two models. EquInox, the classic Chardron adapted to your discipline. It will become your essential partner and especially that of your equines. EquInox Stalle, suitable for the breeding or transport of delicate horses. The Chardron Stalle will allow you to take the road with confidence. 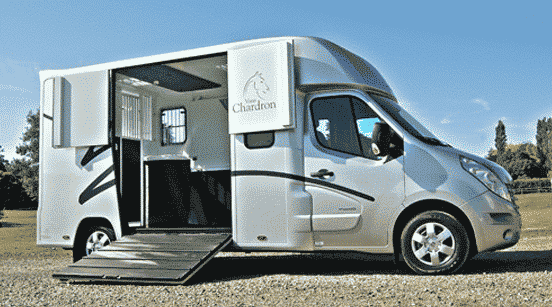 Chardron also works in compliance with regulatory standards to ensure the best transport and travel quality for your horses.